Last in a series. 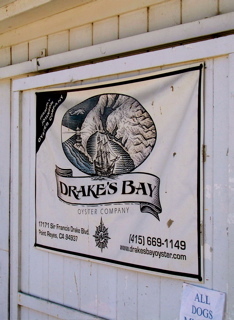 The Inspector General’s report on its investigation into the Point Reyes National Seashore administration’s treatment of Drakes Bay Oyster Company includes numerous summaries of what various witnesses told investigators. By quoting the actual comments of witnesses and investigators, this series has attempted to show that far more has come to light about National Seashore wrongdoing than one might infer from what’s mentioned in the report’s conclusion. 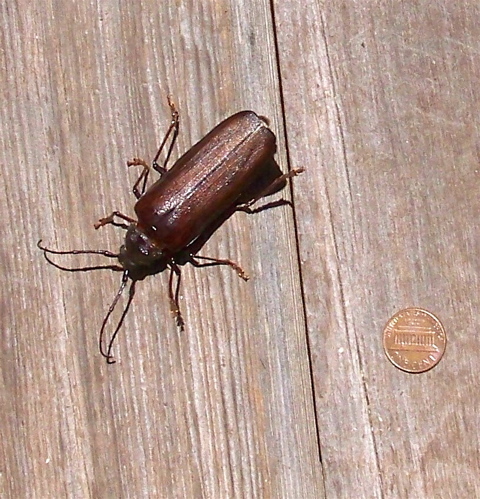 It was one of the more bizarre moments in Point Reyes National Seashore Supt. Don Neubacher’s assault on Drakes Bay Oyster Company. Although it occurred just before the Inspector General of the Interior Department issued its report on that conflict, the incident highlighted the alliance arrayed against the Lunny family’s business at Drakes Estero. As reported in the May 7 Marin Independent Journal, “The point man for the local Sierra Club chapter issued a threat to Marin supervisors. He and possibly his politically powerful club will fight a proposed county parks and open space tax if supervisors don’t support the Point Reyes National Seashore’s restoration efforts. “Those efforts include a back-to-nature push by park Supt. Don Neubacher to shut down an oyster farm in Drakes Estero…. Gordon Bennett, who regularly represents the Sierra Club at county meetings, warned supervisors on [May 6] that unless they tell US Sen. Dianne Feinstein that they don’t oppose Neubacher’s efforts, he would urge the club to actively oppose the county’s tax plan. Although the Marin Sierra Club Group plays political hardball, Bennett’s attempt to blackmail county supervisors on Neubacher’s behalf was over the top, and the group quickly announced it wouldn’t necessarily follow his advice. All the same, county supervisors did not put the tax measure on the ballot. Bennett’s threat could have been anticipated. National Seashore Supt. Neubacher admitted to federal investigators that in April 2007 he had told “Kinsey that environmental groups might ‘go to war’ to ensure that Drakes Estero becomes wilderness in 2012,” the Inspector General’s report says. Although the oyster company is half a mile up a dirt road from Sir Francis Drake Boulevard, Neubacher ordered that the turnoff sign, which for years had said when the business was open, be changed to eliminate the hours. The report indeed makes clear how much the park superintendent has counted on the environmental community, along with his staff, to wage a propaganda war against the oyster company on his behalf. Neubacher (right) told supervisors the oyster company was disturbing harbor seals and that the Marine Mammal Commission had begun an investigation. Well before the supervisors’ hearing, the park’s propaganda war against the oyster company was underway, with several prominent West Marin environmentalists unwittingly lending their credibility to the park’s misrepresentations of science. 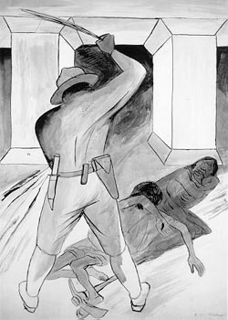 The Inspector General reported that “the other authors of [The Light] column, John Kelly, the director of Conservation Science and Habitat Protection at [PRBO’s] Cypress Grove Research Center [in Marshall], and Jules Evens a self-described ‘naturalist and biologist’ [in Point Reyes Station], told investigators that Allen was the primary author of the column.” Allen agreed. 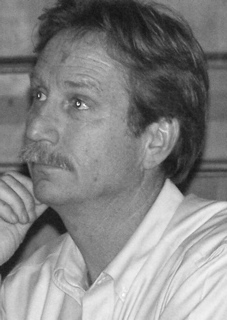 Dr. Corey Goodman of Marshall, a member of the National Academy of Sciences, was the first member of the general public to suspect the National Seashore administration was misrepresenting research. Investigators reported that Dr. Goodman had tried unsuccessfully to get the park to provide copies the “over 25 years of seal data from Drakes Estero” Allen had told county supervisors the Park Service possessed. In the course of filing a series of Freedom of Information Act request on harbor seal data, investigators noted, Dr. Goodman claimed “there was a ‘double standard’ in the way the National Park Service supplied information to members of the public. “Specifically, Goodman referenced an article that Gordon Bennett of the Sierra Club had published in the July-August issue of the Sierra Club Yodeler. “While I was denied access to 2007 harbor seal data based on deliberative [legal] process privilege… Bennett… appears to have free access to this data.” Investigators asked Bennett about this, and “he said there were times he would simply ask for materials from either Neubacher or Allen and he would receive the information…. Although an agent of the Interior Department’s Inspector General said that Bennett and Dr. Goodman had asked for different seal data, Dr. Goodman’s repeated requests for data on seals finally forced the Park Service to admit it had none prior to 1996. Allen herself would later admit to investigators that her statement to county supervisors that the Park Service possessed 25 years of data on seals in the estero was untrue. How did some environmental groups come to be primed for an attack on the oyster company? 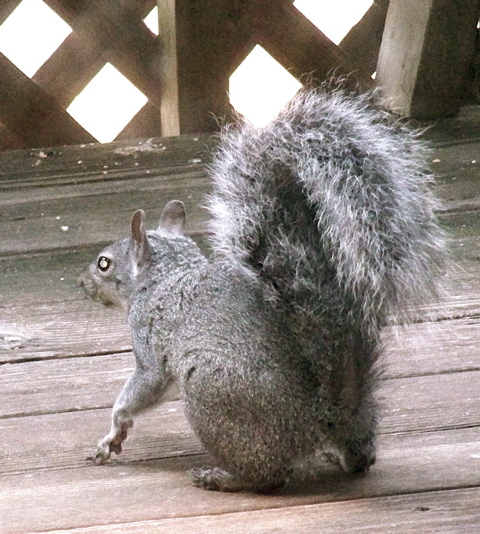 To some degree, it would appear, this happened during one or more meetings at the park. One gathering was in January 2005, Lunny (right) told investigators. He said it included “Neubacher and local environmentalists Ken Fox, president of the Tomales Bay Association; Jerry Meral, member of the Environmental Action Committee of West Marin; and Gordon Bennett, vice chair of the Sierra Club’s Marin Group,” the Inspector General reported. Fox told investigators he remembered such a meeting in the Red Barn at park headquarters but couldn’t recall whether Neubacher was there. “Bennett recalled attending at least one meeting at the Point Reyes National Seashore with Neubacher, Fox, and Meral,” the investigators added. Be that as it may, Bennett and other environmentalists would later take part in spreading negative publicity (much of it misrepresentations provided by the park) regarding the company. A company barge brings freshly harvested oysters ashore. 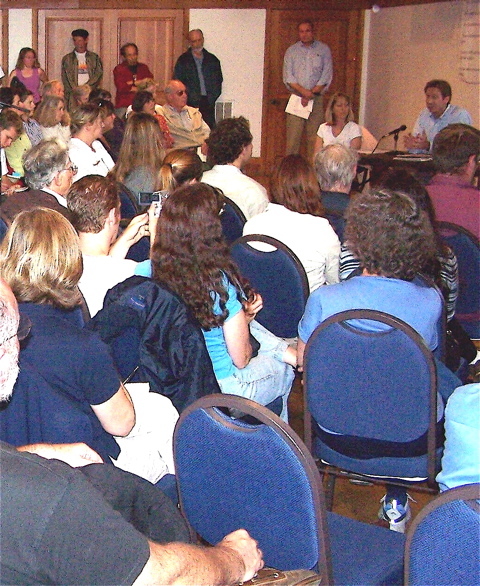 When Marin Agricultural Land Trust held a tour of the company on Oct. 28, 2006, for example, Bennett showed up with copies of Allen’s since-discredited Sheltered Wilderness Report and handed them out to counter positive comments about the business. “Neubacher said he did not ask Bennett to disseminate the report,” investigators noted. 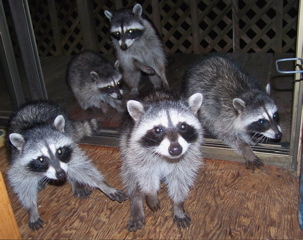 However, the park superintendent did say he had “a stack of copies in his office…. [and] he was sure Bennett got a copy of the report because he (Bennett) was very active in local politics.” Active on Supt. Neubacher’s behalf, it might be added. Investigators from the Inspector General’s Office of the Interior Department, as was detailed here last week, found far more deception by the Point Reyes National Seashore superintendent and the park’s senior science advisor than has been reported in West Marin’s newspapers. Likewise getting almost no attention in the press is the chagrin investigators found among government scientists elsewhere in the West over the park’s misrepresenting research involving Drakes Bay Oyster Company. 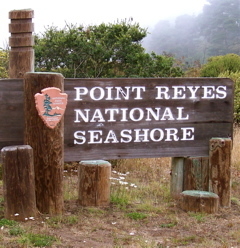 The federal investigation was launched in April 2007, the Inspector General wrote, shortly after oyster company owners “Kevin and Nancy Lunny wrote to us requesting an investigation into the actions of Point Reyes National Seashore Supt. Donald Neubacher. Specifically, the Lunny family… alleged that Neubacher had undermined and interfered with the family’s business and had slandered the family’s name…. 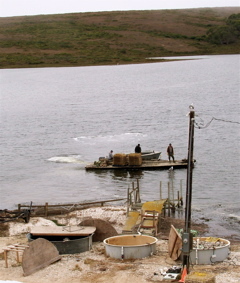 • “Our investigation determined that the Point Reyes National Seashore published a report on Drakes Estero — where the Lunny family farms oysters — containing several inaccuracies regarding the source of sedimentation in the estero. “After receiving complaints from Corey Goodman [of Marshall], a neurobiologist, the National Park Service removed the report from its website on July 23, 2007, and two days later, it posted an ‘acknowledgment of errors’ in its place. • “Our investigation determined that in this report and in a newspaper article, Point Reyes National Seashore senior science advisor Sarah Allen had misrepresented research regarding sedimentation in Drakes Estero completed in the 1980s by US Geological Survey scientist Roberto Anima. • “In addition, we determined that she failed to provide a germane email message between Anima and herself in response to a Freedom of Information Act request [by Dr. Goodman] that specifically sought such correspondence. 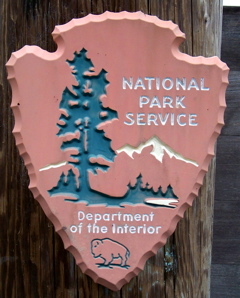 As Jon Jarvis, director of the Pacific West Region, later said, the National Park Service has no data before 1996. Confronted with her untruth, Allen told investigators that while she was still a student 25 years ago, she had written a thesis on the estero — but admitted she possesses no data from her research. And where did this “information contrary to her characterization of Anima’s findings” come from? Both a fisheries biologist with the National Park Service and an environmental scientist with the California Department of Health Care Services. An oyster-company worker rinses off freshly harvested oysters on Wednesday. In September 2006, investigators noted, the park wrote to the state Health Department, complaining that a “sanitary survey” of Drakes Estero by one of the department’s environmental scientists was “incomplete” because it failed to say oyster feces caused major sedimentation. Nonetheless, the Sheltered Wilderness Report (which contained Allen’s discredited reference to Anima’s research) “was uploaded to the Point Reyes National Seashore website” three months later, investigators noted. • Allen used a UC Davis assessment of the estero, written by Professor Deborah Elliott-Fisk and herself, as the basis for a number of her allegations against the oyster company, but the professor was unhappy with how the assessment was cited. 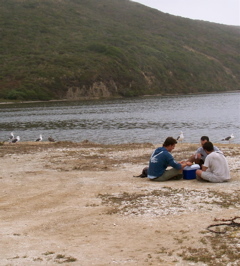 Park visitors enjoy an oyster picnic near the company shop. • Going even further in his criticism was John Wullschleger, a fishery biologist with the National Park Service in Fort Collins, Colorado. The fisheries biologist had provided “technical oversight” for the UC Davis’ assessment of Drakes Estero, and he didn’t consider the assessment thorough enough on some matters to be cited as authoritative on key claims in Allen’s Sheltered Wilderness Report. • National Seashore Supt. Neubacher (right) repeatedly comes off in the Inspector General’s report as deceitful — even in petty matters. 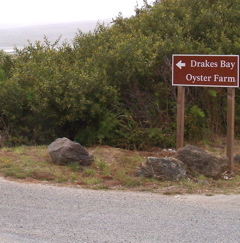 For example, The Point Reyes Light on May 18, 2006, published an article that cited a UC Davis assessment of Drakes Bay in concluding that oyster farming was not harming Drakes Estero, prompting Allen to write the Sheltered Wilderness Report as a rebuttal. • Despite the loud complaints from the National Seashore administration, The Light drew a reasonable conclusion in its article on the Drakes Estero Assessment, the Park Service biologist told Allen. • Anima of the USGS was even more upset. Contrary to how Allen had described his research, the scientist told investigators, “his report never said that oyster feces was affecting the sedimentation in Drakes Estero but rather reflected that studies done elsewhere indicated that oyster waste was a factor in sedimentation in those bodies of water…. “When interviewed, Anima agreed that as written in the Sheltered Wilderness Report, Allen’s use of the estimate of how much waste oysters could produce in a year seemed attributable to Drakes Estero even though he attributed that estimate to a study done in Japan [in 1955]…. 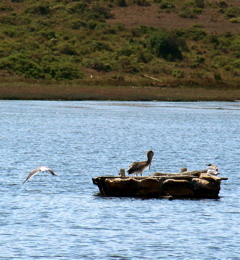 “Agent’s note: Both the article titled Coastal Wilderness: The Naturalist, which Allen co-authored in The Point Reyes Light in April 2007, and an editorial piece titled Save Drakes Estero published in The Coastal Post as a ‘collaborative effort’ by various conservation groups in May 2007 refer to oyster feces as the primary cause of sediments in the estero…. The investigators went on to comment, “Allen presented Anima’s quote about the racks acting as a baffle to tidal currents in a decisive manner, but Anima’s full quote on the subject is speculative…. 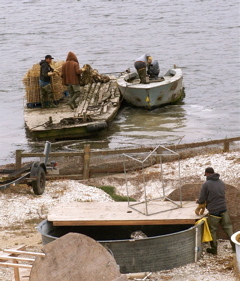 Oyster workers use a boat to tow a barge of harvested oysters to the company dock. • Investigators wrote that “Anima said he let Allen know that he was ‘not happy’ with her portrayal of his research. “According to him, she did not offer a ‘good justification’ for inaccurately referencing his work,” an investigator added. The USGS scientist “recalled that she tried to justify her actions by telling him about an agreement the National Park Service had with the oyster company…. An exhibition titled Silver & Oil: Landscape Photographs and Paintings opened Saturday at the Claudia Chapline Gallery in Stinson Beach, drawing an appreciative crowd. 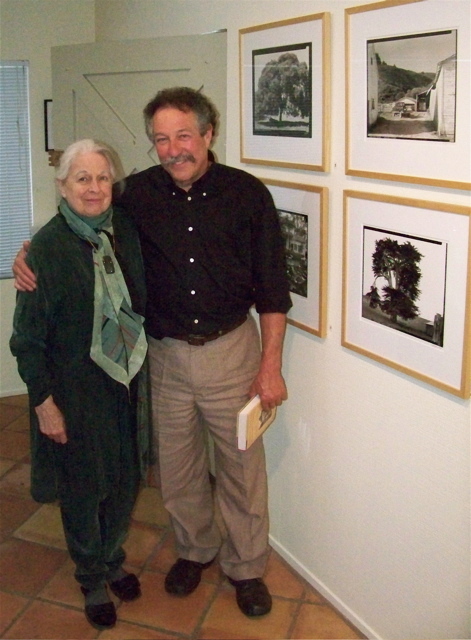 The photographs are by Art Rogers of Point Reyes Station (seen here with gallery owner Claudia Chapline). Rogers is best known for his black-and-white portraits of people in West Marin, but his landscape photos stray as far afield as Kentucky where his wife Laura’s parents live. 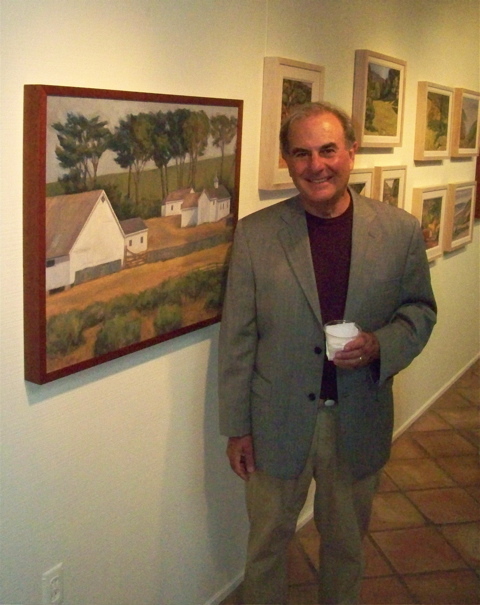 The painter, Thomas Wood of Nicasio, has gained widespread acclaim for his oils, a number of which are reminiscent of French Impressionists’ landscapes. 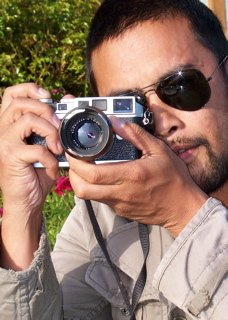 The exhibition of photography by Rogers and paintings by Wood will continue through Sept. 14 at the gallery on Highway 1. 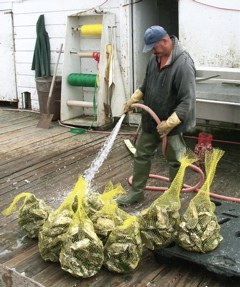 Although Point Reyes National Seashore abuse of Drakes Bay Oyster Company is thoroughly documented in the report issued three weeks ago by the Inspector General’s Office of the Interior Department, the local press has shied away from going into details. With an amazing lack of indignation, most news reports have reduced documented revelations of park-administration abuse to he-said-she-said pablum in order to claim “fair-and-balanced” coverage. This is ironic because the Inspector General’s investigators found that National Seashore Supt. 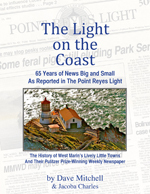 Don Neubacher’s hostility to the oyster company — along with his and park senior science advisor Sarah Allen’s misrepresentations to county supervisors and the public — was in part a reaction to what had appeared in The Coastal Post and Point Reyes Light. The National Seashore administration’s subsequent lamentations over The Light’s getting a copy of the Drakes Estero Assessment and reporting on it are pure opéra bouffe. The Inspector General wrote, “A reporter from The Point Reyes Light requested and received the Drakes Estero Assessment from a Point Reyes National Seashore marine ecologist, something Neubacher described in an interview as a mistake. 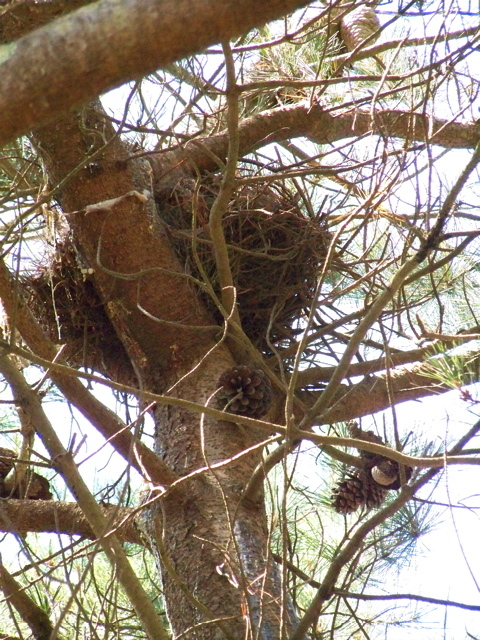 • “With the [park] ecologist’s input,” the Inspector General noted, “Allen began working on a report to counter the conclusions drawn in the article. [This is] indicated by an email message from the ecologist to Allen on July 18, 2006, and a statement by Neubacher during a [KWMR] radio program… the next day. So although Neubacher on KWMR cited Allen’s “recently put together” paper (i.e. the Sheltered Wilderness report) as authority for saying oyster farming was having “long-term, serious impacts,” the document didn’t exist. Investigators determined that Allen, in fact, “began working on the report” just hours before the park superintendent went on the air. This sort of carelessness with the truth has become a hallmark of Supt. Neubacher’s management style, but no newspaper reporter — only Point Reyes Light columnist John Hulls — seems to care. In commentary published last Thursday, Hulls wrote, “The distinction between a park management/planning report and a park news item is not trivial…. The very picture of deceit: In 2004, two out-of-control National Seashore rangers extensively pepper sprayed a teenage brother and sister from Inverness Park without cause. 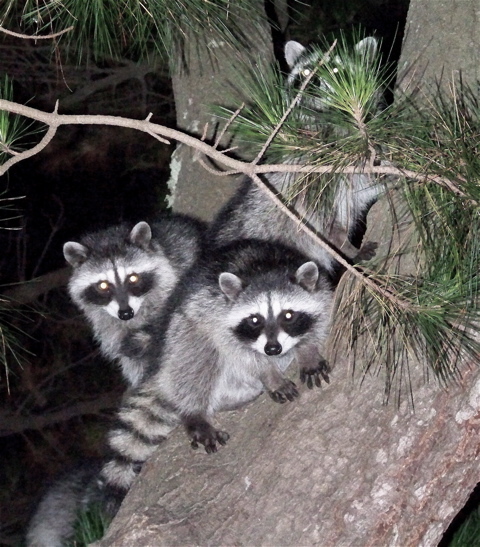 (This occurred outside the park in Point Reyes Station, and the teens were never charged with any wrongdoing. Ultimately, the Park Service compensated them for the abuse with $50,000.) Shortly after the incident, Supt. Neubacher (at microphone) held a public meeting in the Dance Palace, and 300 concerned residents showed up. To placate the crowd, Neubacher led them to believe he had asked the Marin County District Attorney to investigate the rangers’ behavior, and everyone went home feeling a bit better — only to have the DA set the record straight the next day. The park superintendent had not asked to have the rangers investigated but to have the teens prosecuted, the DA said. Much of the public was outraged at having been deceived. Not surprisingly, the DA refused to prosecute the victims. Nor has any newspaper paid a lick of attention to inconsistencies within the Inspector General’s report itself. 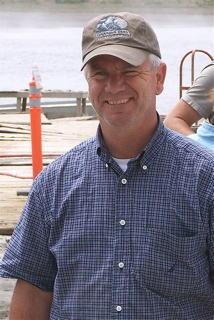 For example, at the beginning of its report, the Inspector General’s Office states, “We found no indication Neubacher was planning to shut Drakes Bay Oyster Company down prior to 2012 when… the company’s Reservation of Occupancy and Use expires.” Virtually every news report used that quotation without qualification. But wait! “No indication?” Any diligent reporter who read further into the federal report would have found what Marin County Supervisor Steve Kinsey told an investigator concerning a private meeting with Neubacher at the park in April 2007. (Oyster company owner Kevin Lunny was not present.) Kinsey told the investigator he had suggested a scientific study to determine whether the oyster farm was having a significant effect on Drakes Estero, but Neubacher quickly dismissed the need for one, saying oyster company boats had made cuts in eelgrass. 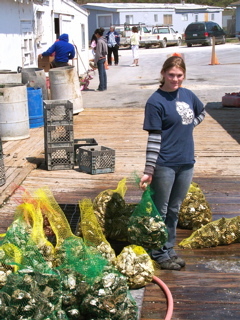 Lunny’s daughter Brigid, the 2005 Western Weekend queen (seen here carrying freshly harvested oysters into the company store), on Tuesday told me she hopes people “get to the bottom” of what’s being done to her family. And even that isn’t accurate — unless Lunny is a non-individual. Nor is that the worst of it. Although Lunny, like Neubacher, was interviewed by the Inspector General’s investigators, Lunny, unlike Neubacher, was seldom given the opportunity to respond to statements made by the other side. So says Lunny, and the Inspector General’s report makes that clear. Sparsely Sage and Timely is powered by	WordPress 4.9.10 and delivered to you in 0.508 seconds using 39 queries.